You're not you when you're hungry and SNICKERS® is here to help! Have you ever had a time when you realized that you were hungry.... and grumpy? Not feeling like yourself? A little out of sorts? Maybe you need a SNICKERS®. 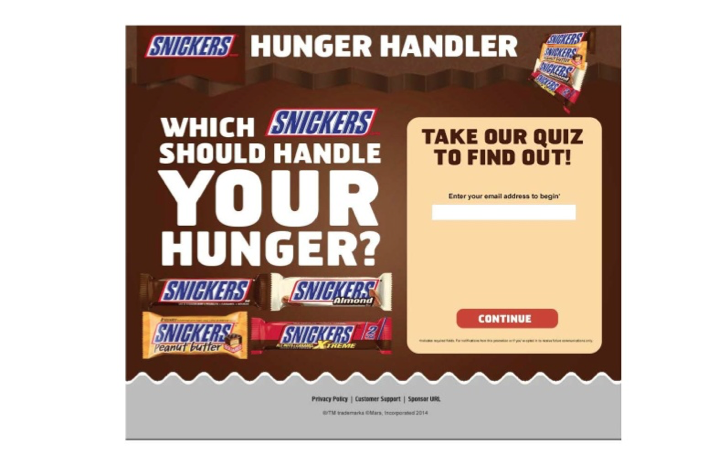 Head on over to the SNICKERS® Facebook page and check out the Hunger Handler App. You can take a quiz and figure out which SNICKERS® is right for you. You'll also receive a buy one, get one free coupon for any SNICKERS® variant. Don't delay, the coupon is live April 1st and only good until supplies last. Thanks for sharing! Love me some chocolate!